Sign up for Osprey Membership today and join a global community of military enthusiasts eager to explore the history of war throughout the ages. Please see below for more information on our Gold, Silver and Bronze memberships and the fantastic benefits that each offer. 30% off all Osprey purchases! As a Gold member you receive a 30% discount on everything Osprey Publishing has to offer, including our ever-growing list of products from Osprey Games and Osprey Adventures. Our extensive online collection of images and resources is fully available to Gold members. It includes over 7,000 stunning plane profiles, explosive battle scenes and detailed historical maps. 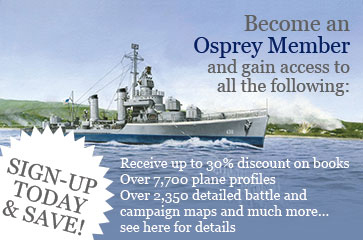 If you take Gold, Silver or Bronze membership you will get access to post in the Osprey forums and comment on our blog posts. Gold membership can be paid for in monthly instalments of £7.50 / $10.00 / CAN $12.00. Alternatively you can pay for the full year in advance at a discounted rate of £81.00 / $108.00 / CAN $130.00. Become a Gold Member here. 15% off all Osprey purchases! As a Silver member you receive a 15% discount on everything Osprey Publishing has to offer, including our ever-growing list of products from Osprey Games and Osprey Adventures. Our extensive online collection of images and resources is fully available to Silver members. It includes over 7,000 stunning plane profiles, explosive battle scenes and detailed historical maps. Silver membership can be paid for in monthly instalments of £3.00 / $4.00 / CAN $5.00. 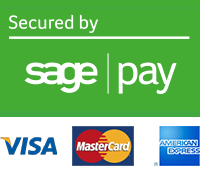 Alternatively you can pay for the full year in advance at a discounted rate of £33.00 / $44.00 / CAN $54.00. Become a Silver Member here. Bronze membership costs £1 / $1 / CAN $1 per year, with all proceeds going straight to a military charity. Osprey do not profit from any sales of Bronze memberships. Become a Bronze Member here.